It’s a bird, it’s a plane, it’s a UFO? DJ Deej and DJ S-Goods discussed the supposed alien and UFO sighting in Los Angeles, California over the weekend. It is said to be light pollution from a missile, but they beg to differ. S-Goods said that this all happened in time for Star Wars, and Deej said that after watching Matt Damon’s The Martian, anything is possible. June 2016 may seem like a long way away, but the first official trailer for Finding Dory was released. Both Deej and S-Goods are super enthused. It is such a generational film, which will be enjoyed by 20-somethings and kids alike. All of the original cast members are returning for the highly anticipated film. 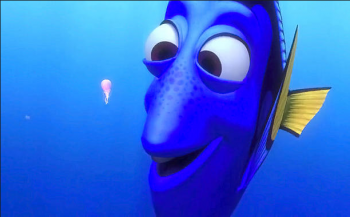 If you haven’t watched the trailer, you can find it here: Finding Dory Official Trailer. Lastly, the Biebs is back! He has released three songs in the last week. The first is titled, “I’ll Show You,” and then he released two more. They are called, “The Feeling,” which features Halsey, and “Love Yourself,” which is co-written by Ed Sheeran. The full track list for Purpose is available of Consequence of Sound, and will have features by Big Sean and Travi$ Scott. You can find the link on our Facebook page, Radio Laurier’s After Class. Tuesdays from 10-11 p.m. Tune in, and turn up.